When two vehicles are involved in a head-on collision, drivers and passengers are likely to suffer serious injuries or even death. A recent study by the U.S. Department of Transportation found that less than 3 percent of all crashes in a given year were head-on collisions, but those head-on accidents caused more than 10 percent of the fatalities. In most cases, head-on collisions are caused by driver error. In many cases, at least one driver is impaired in some way, such as a drunk or drowsy (fatigued) driver. If a driver is impaired or driving in a careless or reckless manner, such as speeding or driving while distracted, the driver may be held liable for the harm caused in a head-on collision. The attorneys at Underwood Law Offices can help you recover the maximum compensation available under personal injury law from an at-fault driver if you or a loved one has been injured in a head-on collision. Contact us now for a free review of your claim and advice about your legal options. A vehicle crosses the centerline or a median and crashes into an oncoming vehicle. A driver knowingly or unknowingly travels the wrong way in a traffic lane. As a result of a driver’s inadvertent action, such as running off the road and over-correcting, causing the driver’s car to run into an approaching vehicle’s path. As a result of a driver’s deliberate action, such as passing on a two-lane road. Research shows that a high percentage of head-on crashes occur on rural, undivided, two-lane roads. While this seems to indicate that most are linked to unsafe passing, in nearly all cases, fatal head-on collisions occur in non-passing situations, according to the National Cooperative Highway Research Program. In most cases, drivers drift from their lane, sometimes because of speeding through a curve or turn, or they mistakenly turn into oncoming traffic. Neck or spinal cord injury, including paralysis. If the underlying cause of a head-on collision is negligent or reckless driving, the at-fault driver may be held responsible for injured parties’ medical expenses, vehicle damage and other losses. Injured drivers and passengers may also be able to obtain compensation for their pain and suffering in serious accidents. If a head-on collision occurs because of drunk driving, distracted driving, drowsy or fatigued driving (falling asleep at the wheel), such a negligent and reckless driver may be held accountable. Drivers may also be held liable for other dangerous acts, such as attempting to pass on a hill or in a curve, or driving in the wrong direction on a one-way street, freeway entrance or exit ramp. 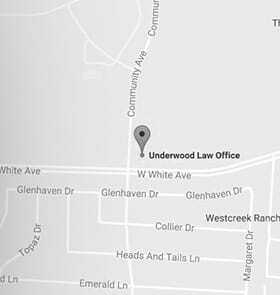 The lawyers at Underwood Law Offices can help you obtain the maximum compensation available to assist in your recovery from injuries and other losses suffered in a head-on car accident. Call us now or fill out our convenient online form for a free legal consultation before you accept any insurance offer. We can protect your legal rights in the aftermath of a serious car accident. Se Habla Espanol.